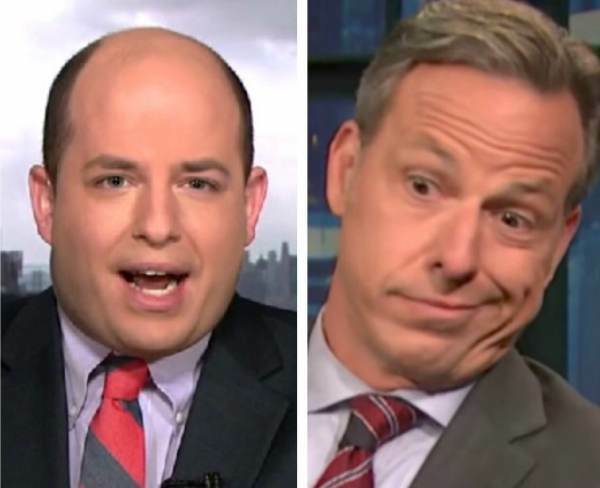 CNN’s Jake Tapper called out colleague Brian Stelter for his questionable journalistic standard on Saturday. It’s funny to watch 2 CNN reporters discuss journalistic standards. CNN believes reporting President Trump had scoops of ice cream and asking whether the president is afraid of stairs is considered journalism. CNN’s Jake Tapper scolded Brian Stelter and said, “Having many errors but “ringing true” is not a journalistic standard. OUCH! Wasn’t meant as calling out brian at all. Was a commentary based on facts he asserted, with which i agree.